Have you ever though, how could the Children of Israel ever allowed their lives to descend into the status of a slave in a foreign land which they do not belong? Then before this era is over today, we might want to consider how we who are so proud to be living in “the Land of the Free and the Home of the Brave” are allowing ourselves to descend so quickly into slavery? Inherent in our quest, we know that we have access as promised by the G-d of Israel to reclaim the Land of our forefathers; Shomron, Galilee, and Judea and become citizens of a new “Promised Land” that will ascend during the “Messianic Age to Come” as the capital of our Sun’s Solar-Rex system on Planet Earth. When Joseph, the Vizier of Egypt died, the “Golden Age” of Pharaonic Egypt was over. The era after Joseph was a slow and progressive decline in power and global influence. The wisdom of Joseph’s counsel, the brilliance of his command of social justice and economic enterprise, and his ability to harness the best of the citizens of this ancient land left his legacy for decades afterwards. Yet, a day did come, when a “Pharaoh who knew not Joseph” ascended into the power of the throne of Egypt. There is one thing about strong rulers; they resent any ruler before them who has an enduring legacy. During this era, the aura of the righteousness of the Patriarch Jacob kept a high level of esteem not only for himself, his son Joseph, and also for all the Children of Israel. The secret of the attachment of the children of Israel to their patriarch Judah was also the secret for their own survival and strength. The family that believes together and prays together is also a family that shines with radiance in the social culture around them. It was not that the Egyptians hated the Hebrew Israelites, and quickly descended into an era of Hebrewphobia, the reality is that in the beginning the Egyptians were scared of the Beni-Yisra’el (Children of Israel). They saw their strength and their stalwartness. They witnessed how the G-d of Israel blessed them. They also saw how productive they were in growing large families. Just as the Arabs and Jews today are constantly weighing the power and influence of their peoples over each other by bringing up demographic data on each of their population’s growth, so also it was in the ancient land of Egypt. Today, the American economy is run in part by the Jewish people. If not them, it is run by the Lost Tribes of the House of Israel. Just consider, remove everyone in the United States that has Jewish bloodlines, or is a descendant of the British, Irish, Scottish, Danes, Swedes, Norwegian, the Fins, the Dutch, Belgi, plus the northern French and German and even the Swiss and transport them to the Land of Israel. What do you have left in America? We would witness and significant contraction, in the agricultural, energy, banking, education, health, insurance, telecommunications and electronic media, the entertainment industry, plus the middle to upper level managerial levels of every major corporation in the largest economic power of the world. Without the Jewish acumen and the entrepreneur spirit of the Lost Ten Tribes of the House of Israel, the nation that once ruled upon this continent will be forever changed and may never recover. This was the same dilemma of the Egyptian ruler and his people. The Hebrew Israelites were becoming too numerous, and they had the appearance and attitude of being strong and invincible. To the Pharaoh, they also could take control of the economy of the nation for was it not one of their own who became the economic genius that made the Nation of Egypt into the imperial power of the then known world? Here became the source of Egyptian anti-Semitism and also a reference point of how global anti-Semitism is again on the rise today. To the Egyptian pharaoh and his advisors, the Hebrew-Israelites were “too dangerous to keep and were too important to lose.” What a dilemma! As they feared, if Beni-Israel stayed, they would take control of Egypt. If they left, the entire social-cultural economy would collapse. So the Pharaoh had to create his own “Final Solution” for the Hebrew-Israelite people. Unlike Hitler in Germany, where he portrayed the Jews like scum or vermin, using very much the anti-Semitic words of the Roman Catholic monk called Martin Luther, the Pharaoh knew that he had to enslaved the Hebrews in a way that they would willingly concede to their economic and then physical slavery. He wanted them to believe that they were so important to the State of Egypt, that they would willingly allow the state to benefit by their economic prowess. Sustainable Table – “The dramatic expansion of industrial agriculture (or factory farming) has made it increasingly difficult for small family farmers in the U.S to stay in business. Instead, the food industry has become dominated by a handful of giant corporations which benefit from government policies that favor large-scale production. Family farmers are being forced out of business at an alarming rate. The purpose of the elite to buy out America with mega-corporation was no different than in ancient Egypt, but this time in the 1960s-1990s, the American culture of Beni-Israel (sons of Israel) who lived in the United States for almost two hundred years were tempted to sell off their small farms to agrarian corporations and move to the cities to find jobs. 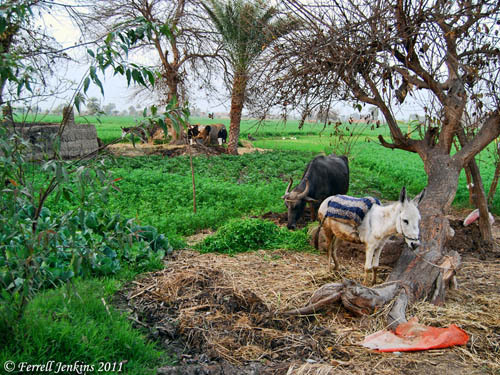 So also the Pharaoh of Egypt wanted to the Beni-Israel farmers in Egypt to leave their agrarian lifestyle, abandon their farms, their small businesses, and sell off their economic holdings in the fertile delta regions of Goshen in northern Egypt to the mega-corporations controlled by the State of Egypt. The Pharaoh would then tempt them to become a part of the new economic development that would make Egypt the premier nation of the world. The Pharaoh’s treacherous pathway for his “Hebrew final solution” was to appeal to the Hebrew-Israelite patriotism to build cities in order to preserve the wealth of Egypt as the global economic capital of the world. This would give the Hebrews employment, government housing, ready access to a continuous food source, and most of all, time for relaxation and pleasure. How Americanized was the ancient Egyptian culture! According to Ramban, known as Rabbi Moshe ben Nachman “Nachmanides” (1194-1270), and a 13th century Spanish and Holy Land mystic and Talmudist, he recognized as one of the leading Torah scholars who lived in Gerona, Spain when he made this great insight into the post-Joseph era of Egypt. According to Ramban, it was the hidden goal of the Pharaoh not to enslave the Hebrew-Israelites, but to actually exterminate them. It was not that he initially hated them, he actually feared them and then fear soon turned to despising them as he slowly turned the “screws” of economic slavery upon children of Israel. According to the Jewish sages, the Pharaoh actually came to the construction sites where the newly contracted Hebrews were laboring and join them on the site as a symbolic effort how everyone must help Egypt in this time of need. As they watched “their Pharaoh” coming out to support their country, the assimilation into the Egyptian culture was becoming complete. So like the Pharaoh of old, we witness the former presidents of American like Clinton and Bush touring earthquake devastated Haiti and tsunami devastated Indonesia while enticing millions of American’s to donate millions of dollars, of which it has been reported that most went to corporate trusts under their control. Let look at a small vignette in our modern world’s entrapment by the Pharaoh’s that rule our world’s economies. In the year following the devastating 7.0 earthquake in Haiti, we witnessed millions of people donating billions of dollars to private charities and non-government organizations (NGO). Some of these were reputable organization who had a long standing record of helping people around the world; such as Oxfam America and UNICEF. Yet the Chronicle of Philanthropy reported that six months after the quake, 75% of the charitable donations raised by NGOs and charities never reached the Haitians. These tactics of the world leaders depict today the same empathy with the crisis and devastations of the common man just like the Pharaoh of Egypt empathized with the children of Israel back then. Prof. Paul Eidelberg – “The Republic prescribed by the American Constitution is the longest lasting free government in history. America saved Europe from tyranny three times in the twentieth century and today it is the only solid bastion of freedom against totalitarian Islam. What is not generally known, however, is that the American Constitution was rooted in ethical and political principles whose source is none other than the Torah; the Five Books of Moses. Yale President Rev. Ezra Stiles, who conversed with rabbis, apparently agreed with Langdon that the American Constitution was based on the Ten Commandments." Jewish Chumash – “The Egyptians were frightened by the growth of Israel. As they said, “The Jews were becoming too numerous, too strong. They might overwhelm the nations – but they were also too useful to be permitted to leave the country.” It was the first instance in history of what has become the familiar pattern of anti-Semitism: The Jews are too dangerous to keep and they are too important to lose. In that day, it was selective genocide, for the midwives of Egypt were commanded by government regulations and national decree to kill only the male babies. It was expected that young female Hebrew-Israelites, with the lack of males, would marry into the Egyptian culture and genetically and culturally disappear. It was the delicately laid out plan that would be implemented over several decades. Before Egypt would ever be challenged, the Hebrew-Israelites would become lost like the Lost Ten Tribes of the House of Israel; they would disappear as citizens of the nations of the world, amalgamated and assimilated into the cultural morass of Egypt. As the Pharaoh tightened the grip of oppression, the style of anti-Semitism began to change. As Hamas and Fatah speak out of one side of their mouths to America and European Lost Israelite dominated cultures and nations, and then speak out of the opposite side of their same mouths to their own Arabic speaking constituencies a different language with a conflicting message. It was Rabbi Yosef Dov Soloveitchik, the grandson of the famous Rabbi Chaim Soloveitchik, who was called the “Reb Chaim Brisker”, who when pondering upon these insights discovered one of the major foundations of historic anti-Semitism. It was the fact that no longer how long the Jews of the House of Judah lived within “any” land, they would always be considered as outsiders or newcomers. This was the attitude of the Pharaoh. The Egyptians people were Pharaoh’s people, yet even though the Hebrew-Israelites had lived in Northern Egypt for 210 years, they were still considered as emigrants and newcomers to the land of Egypt. For the first 94 years the aura of Joseph, the Vizier of Egypt was a statesman and remembered as a legendary patriot of Egypt. Yet looming on the geo-political arena was a new breed of anti-Semitism; no matter how long you have lived here, you do not belong here and you never will belong here. As we look at the similarities of the then and now, we can imagine in our minds both the Jews of the Diaspora, still in physical exile from the Land of Israel and the Lost Ten Tribes of Israel that were not of the bloodlines of Judah the fourth son of the Patriarch Jacob and his first wife, Leah. Both of them were in a physical exile, and both of them may or may not be in a spiritual exile. We begin to ponder a new dimension of life; first the Evangelical Christians in America who are gaining a new reality of their life. From the scholarship laid out in the numerous books written by Yair Davidiy, his vast archives in his blog site, Brit Am and the host of a lively and informative Brit-Am discussion site, to Rabbi Avraham Feld, a respected rabbi in Jerusalem with the Maccabee Foundation and associated with Kol Ha Tor Vision. There is no doubt that to many of the rabbanim in Israel are aware that Lost Ten Tribes of the House of Israel are waking up and coming to a new reality. They recognized that the Lost Ten Tribes of the House of Israel are reaching up and beyond seeking a more elevated concept of spiritual reality. These Lost Israelite Christians are yielding to that inward genetic tug with the innate feeling within that somehow; we belong in fellowship with the Jews of the House of Judah. For these awakening Lost Israelites, this time it is not “replacement theology” but a longing for the restoration to be home with our whole family; Jews and Israelites alike. This was also the same tugging that Ruth that young Moabitess who felt in her neshama soul that she wanted to be a part of the family of Abraham. Ruth knew that her eighth ancestral great grandfather Lott was the nephew of Abraham. She also knew that with Lot’s incestuous relationship his two daughters, her tribal peoples the Moabite plus also the Ammonites were cursed by the G-d of Israel and the daughters were forbidden to join with the covenanted Hebrew-Israelites for ten generations. "Yishai was one of only four righteous individuals who died solely due to the instigation of the serpent"--i.e. only because death was decreed upon the human race when Adam and Eve ate from the Tree of Knowledge at the serpent's instigation, not due to any sin or flaw of his own. David was the youngest in his family, which included seven other illustrious and charismatic brothers. BibleSearchers Reflections – Have you ever heard this story of King David when he was a young child? Have you wondered why? It is a rare Christian pastor, scholar or writer who brings such dramatic insight into the biblical personalities that we love and respect, especially insights into the life of King David during his youth. The reason that they do not know these sublime histories, such as what happened in the youth of King David, is that they do not respect the writings of the Jewish sages and histories as found in the Jewish Talmud and the Mishnah. Yet, this is the history of the Jewish people, and if anyone should know their history, it should be them. Not only that, King David was a proto-type of the future Messiah and his life was a dramatic rehearsal of the Messiah who would later come and bring the “Drama of the Ages” to its fullest realization. So today, the descendants of the Lost Sheep of the House of Israel are returning home, being drawn by the whistle of the Divine calling them back to the roots of their ancestral people’s and to the land of their heritage. Many are coming back humbled, and contrite for the sins of their forefather’s and the desire to repair the breech and enmity that they started with their rebellion three thousand years ago. As the prophets have spoken, in our future is another Exodus, another planetary apocalyptic era of catastrophes with bolides of fire, great plagues, and global catastrophes. It appears that there will also another Exodus as the Lost Ten Tribes of the House of Israel will soon be going home. Before the G-d of Israel brought the Children of Israel out of the land of Egypt, He first brought to them their new messiah and savior. You might want to Read the entire Series titled: “The Passover Exodus then and now! The role of prophetic understanding has now slipped away from Christian scholars as the Jews are now carrying the mantle of end-time prophetic understanding. One of the roles the Sages of Judah is to become the conduit for the Divine to give us hints as to HaShem's role in bringing forth the "Appointed Time" and the revealing of the Messiah. The great theme in all of this is the restoration of All Israel. This is not a conditional prophesy and neither is it a Jewish prophesy, but a Hebrew-Israelite prophesy. We will be restored back into brotherhood and fellowship with our cousins, the Jews of the House of Judah for that is G-d's will (Ezekiel 37). If you want to learn more, Contact “Kol Ha Tor Vision”, the Voice of the Turtledove. Here is a joint Orthodox Jewish and 10-Triber Mission to bring awareness of the imminent fulfillment of the Biblical Prophecies regarding the Redemption of all Israel (12 Tribes Re-conciled and Re-United). This super Event of all Times will entail Establishing the Shomron (the Ancient Bible Heartland of the Patriarchs) and the Judean Wilderness as part of the Land of Israel, and preparing the “Land” for the Return of the Lost Tribes of the House of Israel and then the Redemption of All Israel. For inquiries about Kol Ha Tor Vision for the Lost Tribes of Israel, Visit – “Shomron Lives!”, a Spiritual Retreat and Guest House in Samaria offering tours of Biblical Shomron.